John Stomberg, director of Dartmouth College's Hood Museum of Art, pointed to a small brass plaque at the front of his desk. It had belonged to Harvey Hood, president of the Hood Dairy, he explained to Seven Days. Hood was the principal donor for the campus museum's present structure, which opened in 1985. "Other museum directors preside over institutions founded with money from robber barons," Stomberg said with a smile. "Here, we're built on the profits from ice cream!" Stomberg spent the past four years as director of the Mount Holyoke College Art Museum and before that served stints at Williams College and Boston University. He's new to the Hood, having taken the job in January. But the collection of art and anthropological objects he oversees got its start in 1772 — just three years after the college was founded. Stomberg arrived just in time to shepherd another expansion in the museum's long history: a massive renovation that will close the institution for a projected three years. The initial repository for archives and artifacts was housed in various buildings; it moved in the 1950s to the Victorian-era Wilson Hall. By the mid-1970s, the collections had again outgrown their quarters. The ensuing Hood-funded construction resulted in a 37,000-square-foot edifice designed by Charles Moore and Chad Floyd, which was somewhat awkwardly inserted between Wilson to the north and the Hopkins Center for the Arts complex to the west. Now, once again, the campus museum has been deemed too small to host its expanding uses for teaching and its growing collections of historical and contemporary American, Native American, European, African and Melanesian art. 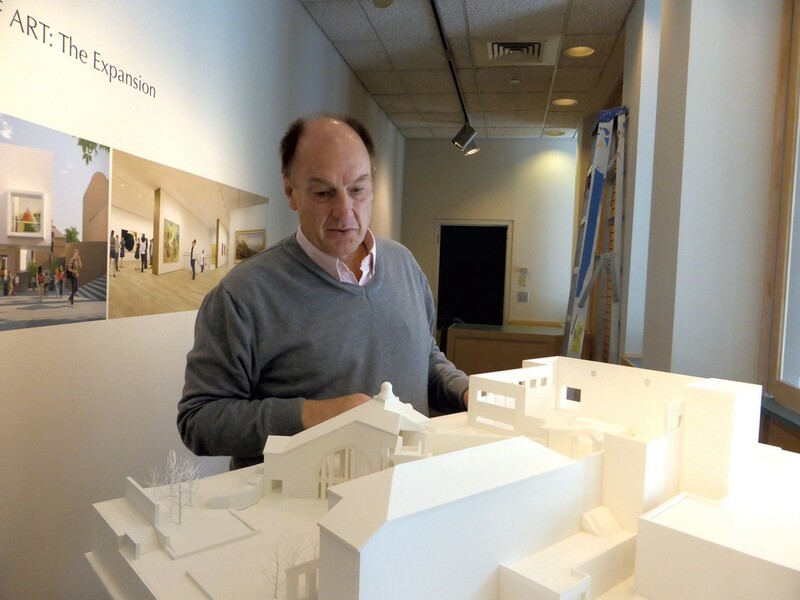 In March, the museum closed for a reconstruction guided by National Medal of Arts-winning architects Tod Williams and Billie Tsien of New York. In an interview last week, Stomberg talked about his plans to keep the Hood alive during construction. SD: How will the museum maintain and diversify its offerings during this long period of very demanding distraction? JS: There are four ways we're thinking about this time. [First,] "The Hood at Home," the education programs, which stay right here. K-12 education is so important to the Hood Museum that we have over 4,000 school visitors a year. While we're closed, we're using the public art on campus and the murals by [José Clemente] Orozco [in Baker-Berry Library]. We're probably one of the few small teaching museums that have three full-time staff dedicated to teaching local kids. Then there's "The Hood Online." We've just completed a more robust webpage, because ours was so frail and thin that you couldn't load a movie. Third is "The Hood on the Road," which is that we've loaned 48 paintings to museums across the country. And the fourth is "The Hood Downtown." 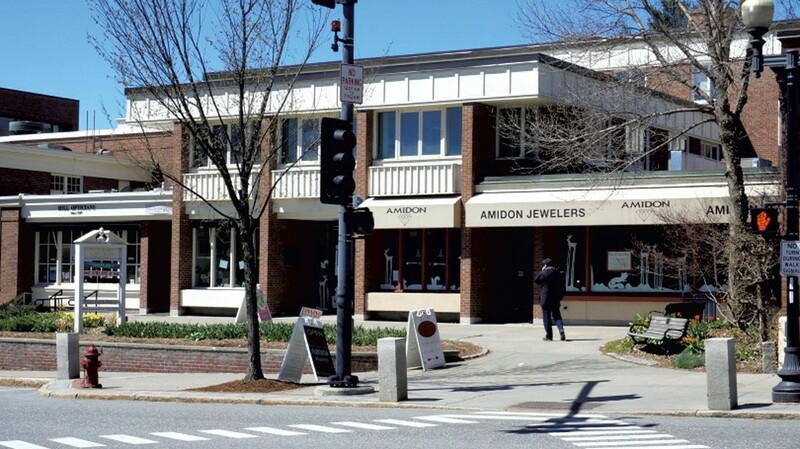 We've leased the former Amidon Jewelers shop on Main Street in Hanover. I believe very strongly that it's important for us to be a good community member. I think the downtown space will feel very inviting. SD: You mentioned that the Hood is loaning key pieces to other institutions during the interim. How is this different from the loaning that museums do routinely? JS: Some museums, when they close, take their greatest hits and travel it as a show from city to city. Instead, we initiated loans of paintings and sculptures to museums all around the country. We're going to do alumni events from Maine to California and Toledo to Tampa. Usually museums borrow for specific exhibitions. What we said was, "Hey, you wanna borrow our Picasso? If you agree to keep it on view in your permanent collection gallery for three years, we'll lend you a Picasso." I'll be speaking at the Fleming [Museum of Art at the University of Vermont] in Burlington on October 13 about modern American art. We loaned them three paintings — a great Georgia O'Keeffe and two others — that represent distinct avenues to similar ends. SD: The architects for the new museum need both to respect the artistry of the Moore-Floyd structure and to solve certain practical and spatial problems that the earlier design created, including visually confusing access points. And you want to gain usable space without increasing the building's footprint. How would you describe the new facility? JS: For the first time, there will be a front door [facing the college green]. We are always free and open to the public, and we print that on every invitation, but if your architecture doesn't say that, it's intimidating, unwelcoming. Basically, the shape of the building stays the same, but [Williams and Tsien's] new building swallows all of this space up, and what is now an exterior courtyard turns into an interior atrium. And Wilson Hall and the Hood building will no longer be attached. In the new building, there will be four separate security envelopes. That sounds wonky, but it makes a difference. The museum, classrooms, front lobby and our offices can be open or closed, and that gives us a lot of flexibility we don't now have. SD: The Hood Museum has a worldly, broadly historical collection. What emphasis will be placed in coming years on acquisitions from artists in the museum's own neighborhood, northern New England? JS: With any smaller art museum, the collection grows in different directions at different times depending on the areas of expertise represented by its staff. Right now we have strength in global contemporary with [curator of African art] Smooth Nzewi and in American art to 1940 with Bonnie MacAdam. In the past, the collection also benefited from directors with deep commitments to European Old Masters or Australian art. The contributions I hope to make will be particularly in the areas of global modernism and photography. There's a thriving artist scene in the region. What the Hood can bring to that dynamic is an influx of what's going on in the world. The museum should be a place where artists [from here] feel really comfortable and feel ownership ... My hope is that, more than exhibiting regional art, we play a special role in the lives of regional artists. We have a different kind of budget, so we can bring art from Australia. For the Hood Downtown, I volunteered to curate the [initial] shows: first, a French artist named Laetitia Soulier, who builds huge models and incorporates real people, then photographs them. We'll have photographs and models for her "Fractals" series. That opens on September 15. Our second show will be the "Persian Gardens" series of Bahar Behbahani, an Iranian-born painter now living in New York. And when the Hood Museum reopens, our goal is to have more evening hours, too. We'll have the atrium open until two in the morning, so we're going to be programming this area with digital art, performances, poetry slams, dances. As we're showing the plans to donors, they're definitely thinking about the new space in those terms, as well. The original print version of this article was headlined "New Director John Stomberg on the Once and Future Hood Museum"